Las Vegas Athletic Club has many locations to make it easy for you to get to the gym from work or from the home. Here’s what they offer. 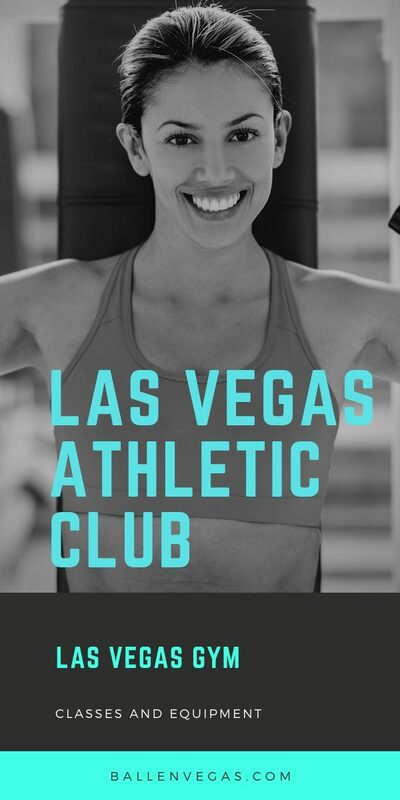 Las Vegas Athletic Club has a place for everyone, join the studio classes and enjoy the positive energy or sign up with a personal trainer and get help achieving your daily fitness goals. fitness programs run 24/7/365. Enjoy the best gym services on a regular basis. Disclosure: I benefit from purchases made from my links. Though life can at times be challenging, Las Vegas Athletic Club was created to take it all away and present you with moments that inspire you, challenge you, get the best out of you, and make you live and love every moment with people who share your goals, passions, uncertainties, and guide you to become the best you can be. Join the Alpha team, team cut, or hire a personal trainer to get the best preeminent services. Clear out your mind in yoga classes that will take away all the stress and pressure that you have been pilling all day long and go home rejuvenated and strong enough to face another day. Breath and experience true energy. From the tranquility of quiet meditation to a pulse-quickening flow, Las Vegas Athletic Club offers a variety of yoga that meets you from wherever you are at and rejuvenates you to a newer, stronger, and peaceful person. Whether you are experienced to the mat, or it’s your first trial, welcome to classes, join in for yoga that provides exceptional mind and body benefits. Try classes and build your strength, regain flexibility, and de-stress both your body and mind. To be part of this happy family, pass by the club in Las Vegas on Charleston or visit the website and at a very affordable fee, you will be able to join a gym membership. Try it for free by signing up for three days’ free classes. Studio classes will include work out with no appointment. After experiencing a variety of amenities, an array of exercise classes; group and individual, you will have a lifetime experience on how the 24 Hr. fitness services can lead you into a healthier and happier lifestyle. Enjoy healthy food supplies and fresh juice to keep your body healthy and hydrated. Visit the Juice bar and have a glass of fresh juice. Don’t stay at home or skip your sessions because you don’t have anyone to take care of your kid while you are in the gym. LVAC has a fantastic Kid’s club that will take care of your kids, keep them active and entertained as you go about your daily gym routine. The Kids’ Club attendants have plenty of supervised games for your kids. LVAC pride’s themselves in paying attention to every kid’s progress in playing games and making friends. Kid’s club gives kids between 6 months to 11 years an opportunity to experience real fun in a safe and supervised environment. The better part is that registering your children is hastle-free. All you need to do is to add your child to your member account, and you will never have to waste time in another form. To check your children in, simply show your valid ID or use your cardless check-in at the kid’s club and they will pull up all the information they need from our system to keep your child active and safe. You can either purchase a single kid’s club visit at Las Vegas Athletic Club front desk or visit the website and add a Kids’ Club agreement to your membership. To save on money and time, set up automatic monthly payments on future drop-offs. For further questions, call, email, or visit the club’s front desk and all your queries will be answered. Don’t just go with what you know, try something new. From the classes you adore to new programs, the instructors are always passionate to teach you something new and help you become better, the studios are amazing, and the positive energy is beyond compare. Start with what moves you and let your mind and body sink into the rhythmic flow of every activity your instructor guides you into. Keep up the pace with your instructor and keenly adhere to their instructions. At Las Vegas Athletic Club, you will have hundreds of classes, passionate instructors, and with your membership, only the sky will be the limit.